In an age where technology and innovations mold the world, luxury became a standard of excellence. 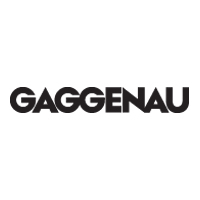 Gaggenau is a luxury brand like no other thanks to its unique and long heritage. Time can only build such savoir-faire, exposing the maturity of engineering, and a vision that had evolved and revealed itself over centuries. “Aspiring to enable private chefs to bring their visions to life, we develop tools of the highest quality, bridging innovation with intuition. Crafted from puristic materials as stainless steel and glass, they embody a true design statement. A symbiosis of tradition and avant-garde. A mark of simplicity and authenticity.” - Sven Schnee, Head of Global Brand Gaggenau. Reimagine the concept of refrigeration: a sculptural statement, inside and out.